LITTLE ROCK, Ark. — Arkansas is set to become only the second state to ban cities and counties from locally expanding anti-discrimination laws under a bill approved by lawmakers on Friday. Opponents say the bill sanctions discrimination against gays and transgender individuals because it blocks municipalities from adopting ordinances that go beyond state’s law, which doesn’t protect people from discrimination based on sexual orientation or gender identity. Republican Gov. 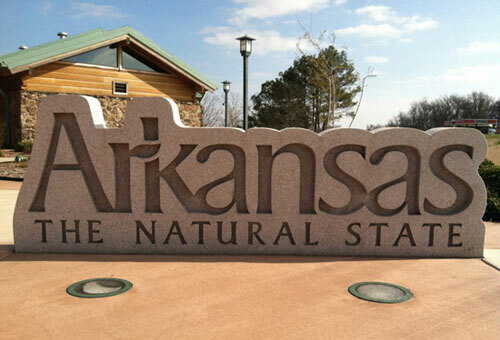 Asa Hutchinson said he was concerned about taking away local control from municipalities. But he said he would let the bill become law without his signature, a move often used to show discontent but acknowledge there is enough support to override a veto. Tennessee is the only state that currently blocks local governments from extending certain anti-discrimination protections. The Arkansas House approved the measure in a 58-21 vote, meaning it will become law unless vetoed. The chamber also approved a measure that would protect residents from being forced to act against their religious beliefs; that legislation now heads to the Senate. Republican Rep. Bob Ballinger of Hindsville, who presented both bills to the House, said a potential hodgepodge of local ordinances is bad for business. Some supporters said business owners shouldn’t be punished if they refuse to serve certain people. “I don’t think… a baker that loves the word of God, that’s bringing her children up to honor God and to worship God, should have her business destroyed because she doesn’t want to bake a cake for someone who is a transgender trying to marry someone else,” said Republican Rep. Mary Bentley of Perryville. Democrats argued the law could drive away business and promote discrimination against the gay community. “What it really comes down to is impeding their freedom, their freedom to live their lives as they would like to live them,” said Rep. Warwick Sabin, D-Little Rock. The governor didn’t agree with that interpretation of the law. “Obviously, any type of discrimination is a concern, but I don’t think that is the interpretation of these ordinances and I don’t think that’s what at issue here,” he said.